Item citation: From catalog #19 Conf. in the Rare Book Collection, Wilson Library, University of North Carolina at Chapel Hill. [No. 1.] A resolution to dispose of donations made by certain Churches on the late Fast Day. Appropriation of the fund received into the treasury from donations by churches. 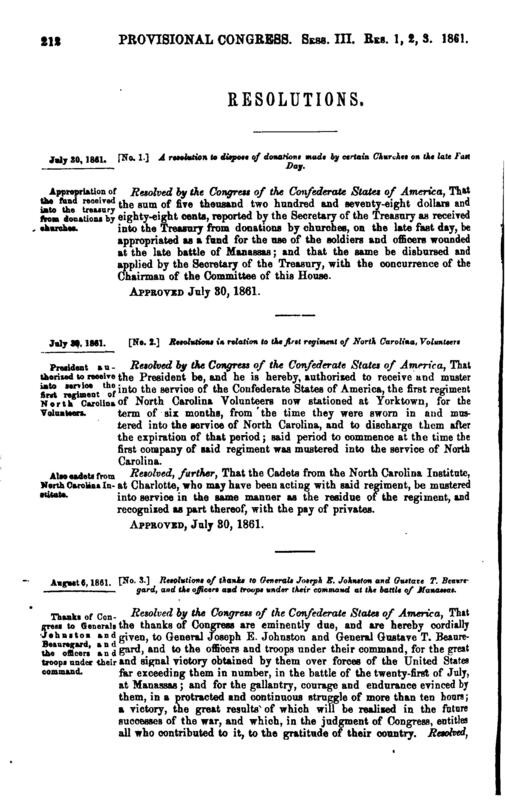 Resolved by the Congress of the Confederate States of America, That the sum of five thousand two hundred and seventy-eight dollars and eighty-eight cents, reported by the Secretary of the Treasury as received into the Treasury from donations by churches, on the late fast day, be appropriated as a fund for the use of the soldiers and officers wounded at the late battle of Manassas; and that the same be disbursed and applied by the Secretary of the Treasury, with the concurrence of the Chairman of the Committee of this House. 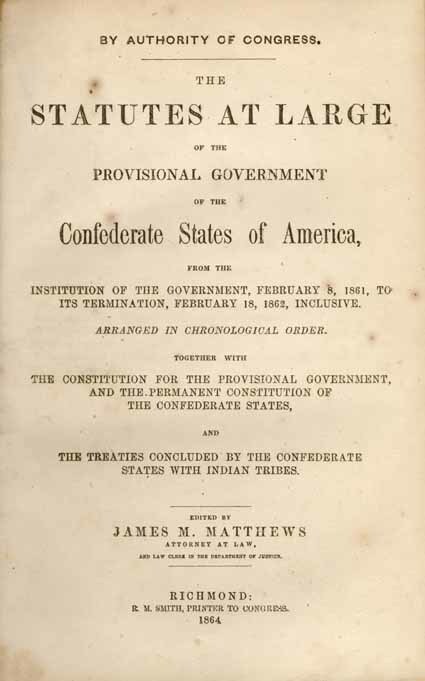 This entry was posted in Rare Book Collection and tagged churches, Confederate Congress, day of fasting and prayer, donations, Provisional Congress, Provisional Government of the Confederate States of America, resolutions. Bookmark the permalink.